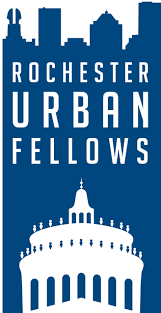 Rochester Urban Fellows is a 10-week summer program for local undergraduates who attend a Rochester-area college or are native to Rochester and attend college elsewhere. Participants have opportunities to develop personal and professional skills, increase their understanding of urban issues and poverty, and develop emotional ties to Rochester. View pictures from the event.